A hive of treachery, fraud, violence, heresy, anger, greed, gluttony, and lust. In short, a world any of us may know. 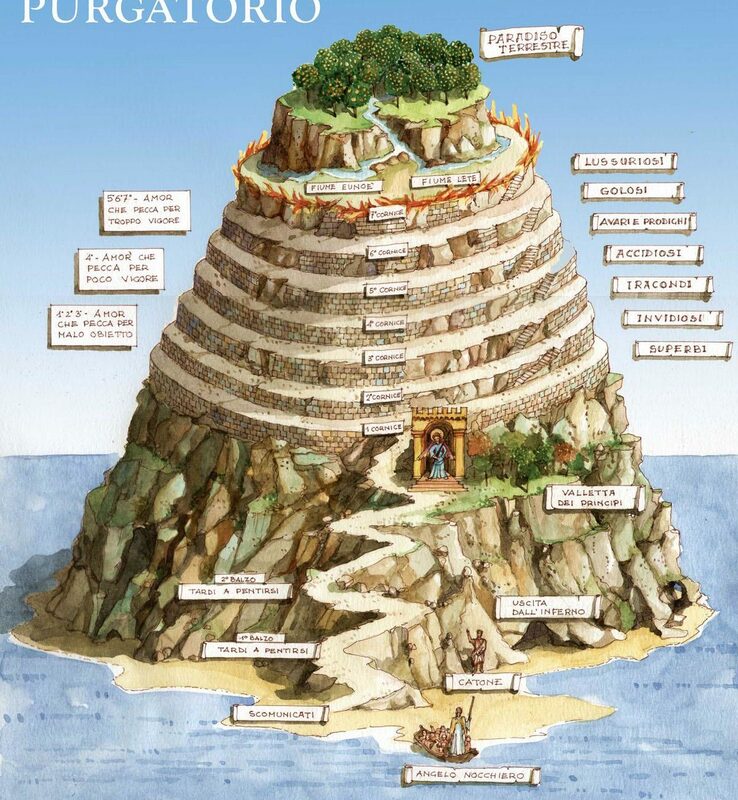 A mountain of cardinal sins - pride, greed, lust, envy, gluttony, wrath, and sloth. Counterpoint to seven virtues - prudence, justice, temperance, courage, faith, hope and charity. On these slopes they meet and we make our choices. 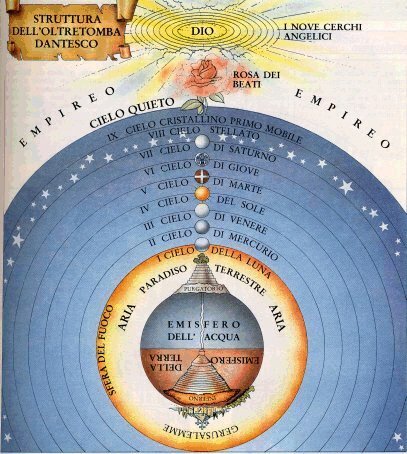 A harmony of spheres, of planets and moons - inconstant, ambitious, lovers, wise, warriors of the faith, just rulers, contemplatives, faith, hope, love and the Empryean. But are we meant to dwell with God or were we meant for something more? Are there other universes and dimensions beyond ours that we have yet to learn about? If our universe is defined by a "Fall from Grace" does that mean that all universes were created by similar events? Is God the Creator of all things or only our things? 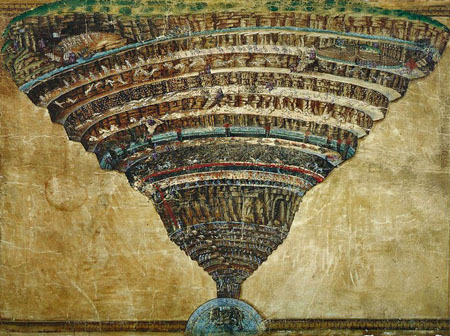 If we progressed through Hell, Purgatory and Heaven and made a deal with God could we pass into these other universes? 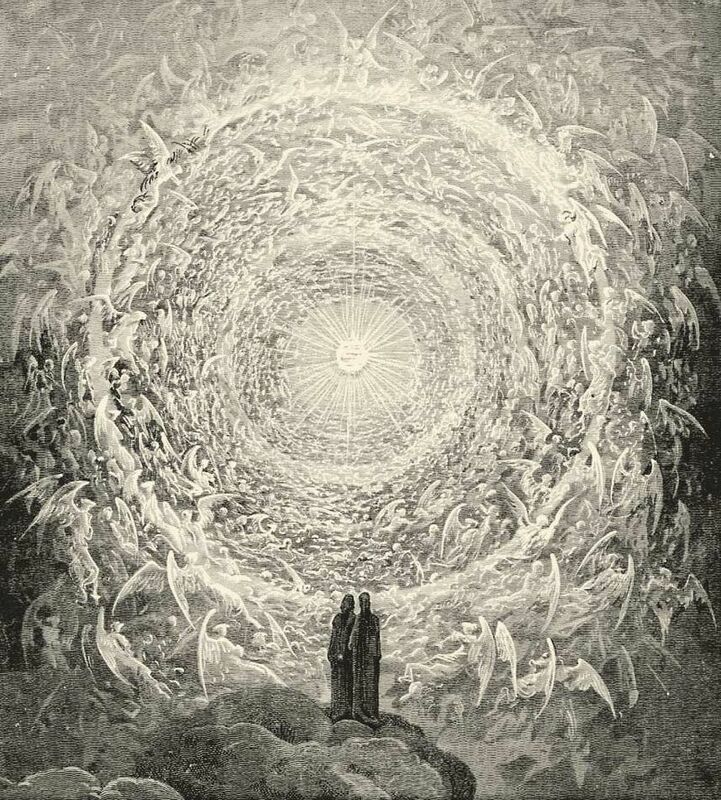 Beyond the Empyrean, is there such a place as Beyond Paradise?